Porto-Novo (Benin) (AFP) - A court in Benin on Thursday sentenced opposition politician Sebastien Ajavon to 20 years in prison on drugs charges and issued an international warrant for his arrest. The former presidential candidate was not at the hearing in the West African country's administrative capital, Porto-Novo, which lasted less than an hour. His legal team has previously denounced what they said were "serious irregularities" in proceedings and called the allegations "absurd and false". Ajavon came third in Benin's presidential election in 2016 behind the then-prime minister Lionel Zinsou and the eventual winner, millionaire businessman Patrice Talon. He has made no secret of his desire to contest the next presidential election due in 2021 and has set up his own political party. But he has complained of being targeted by arrests and prosecutions. One of Ajavon's Paris-based lawyers, Julien Bensimhon, criticised the sentence after it was passed. 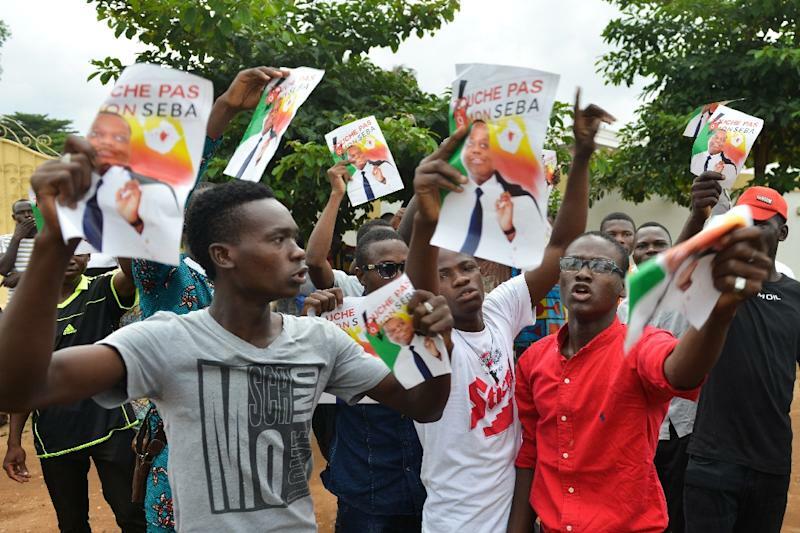 "We can now say there's no rule of law in Benin," he told AFP. Another of his legal team, Marc Bensimhon, added: "We were expecting it (the sentence). Mr Ajavon is now in exile (in France). "If he comes back, he will be incarcerated immediately." Ajavon was charged with "high-risk international drug trafficking" of cocaine worth an estimated $16 million (14 million euros), despite having previously been cleared of any involvement. State prosecutors pushed judges to impose the maximum sentence at Thursday's hearing, which was held under tight security with police blocking access to protesters. Judge Edouard Ignace Gangny equally upheld a request to fine Ajavon five million CFA francs ($9,000, 7,700 euros). Ajavon, known as the "Chicken King" because he made his money in livestock, and his Paris-based lawyers say they have not been able to examine the case against their client in detail. They were only notified he had been charged at the first hearing on October 4. The judge also said no defence would be allowed without Ajavon being physically present in court. "All the lawyers are gagged, apart from those representing the state," Marc Bensimhon told reporters before the sentence was passed. "What happened (in court) is unacceptable. I've been a lawyer for 34 years and I have never experienced anything like it," he said. Ajavon is a regular visitor to Europe and had been in France for three days since he received the summons to appear at Thursday's hearing, the lawyer added.